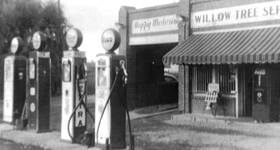 Willow Tree Muffler Center in Haw River, NC is a hometown-owned auto repair shop offering a wide range of general auto services, from custom exhaust work to oil change. We are a proud member of Automotive Service Association (ASA) and National Federation of Independent Business (NFIB). Under the close supervision of our owner, Wayne Edwards, our team has been providing quality auto solutions to the community for 15 years. Rely on us when you need NC safety, OBDII and motorcycle inspections, notary public services, and car repairs. We will carefully evaluate your vehicle and identify hidden problems. You can trust us to help ensure your safety on the road. To obtain an estimate from our expert automotive technicians, call us at (336) 578-7451.